Additional Coding & Robotics programs available for ages 10-13! Click here to learn more. Calling all students that like to create, tinker, learn, hack, craft, and most of all make new things! Take arts and crafts to the next level by including engineering as we explore electronics, 3-D printing, woodworking, and more. Use household materials to make upcycled items such as a labyrinth game and even a hovercraft. Use our makerspace tools to make innovative games, toys, and products. 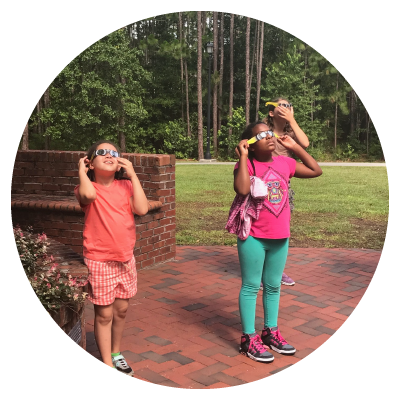 Become a maker this summer and learn through doing! Activities: Develop woodworking skills as create a 'labyrinth' game! Learn about air pressure and make a PVC marshmallow shooter. 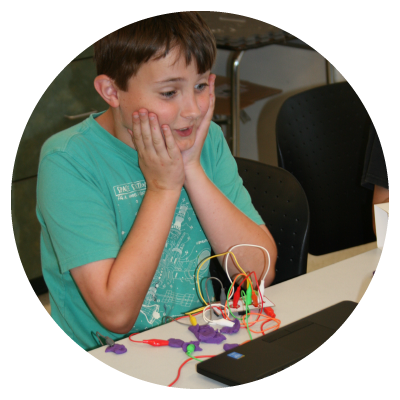 Use our Makey Makey’s to build interactive circuits and code them in Scratch. Highlight: Utilize our Makerspace equipment such as our laser cutter and 3D printers to make games, toys, and useful things to bring home. Have you heard of the Rocket Girls who helped chart the course to space for the United States? As our first “computers” these women helping engineer the way to space! Propel your engineering skills to new heights as you explore aerospace engineering in our rocketry camp! Launch rockets to specific targets, engineer a multi-stage rocket, and transport payloads as high as possible. Determine the best materials for the critical thermal protection system on rockets. You'll all be ‘rocket girls' by the end of the week! Activities: Make a light up LED rocket, create your own “re-entry” system for your rocket, and explore algorithms and how GPS works. Highlight: Learn about NASA’s Hidden Figures and Modern Figures in Aerospace Engineering. Explore the fields of engineering while discovering what makes each one unique and how they overlap. Develop engineering skills while participating in design activities related to each field. Disciplines to be covered include civil engineering, mechanical engineering, 3D modeling, chemical engineering, electrical engineering, and environmental engineering. Learn about the Grand Challenges of Engineering and join a multi-discipline team to tackle a design challenge of your own. 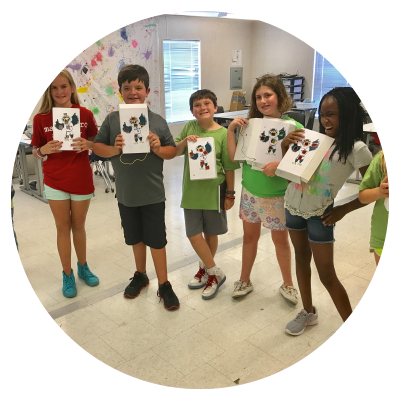 Activities: 3D print operation pieces and build a circuit to control your own operation game; program our Sphero robots, and design a tiny house that can withstand our challenges. Highlight: Learn about all the best aspects of civil, mechanical, chemical, environmental, aerospace, and electrical engineering in an interactive and fun way. Check out our Coding & Robotics programs for Ages 10-13 year-olds!